South Paris – Otis Ingalls Evans, 85 of South Paris, died on Veterans Day, November 11, 2005. He was born at Errol, NH on March 31, 1920, the son of Fred and Mildred (Swett) Evans. He was educated in Woodstock schools and graduated from Woodstock High School in 1939. He was Master of the Franklin Grange at the age of 21, and had been active in a variety of sports. He joined the U.S. Army on Veterans Day in 1942 and served overseas for two years. He was a member of the American Legion in Oxford and of the Veterans of Foreign Wars Post 9787; the Maine National Guard; the Knights of Pythias for over 25 years and was a Lieutenant in the Oxford Fire Department. He had also been a member of the Woodstock Fire Department as well as a volunteer with the South Portland Fire Dept. He had been employed at New-Tibbetts, the Canadian National Railroad and was a member of the Oxford Police Department for 21 years. In later years, after retirement, he worked as a greeter at Ames Department Store. 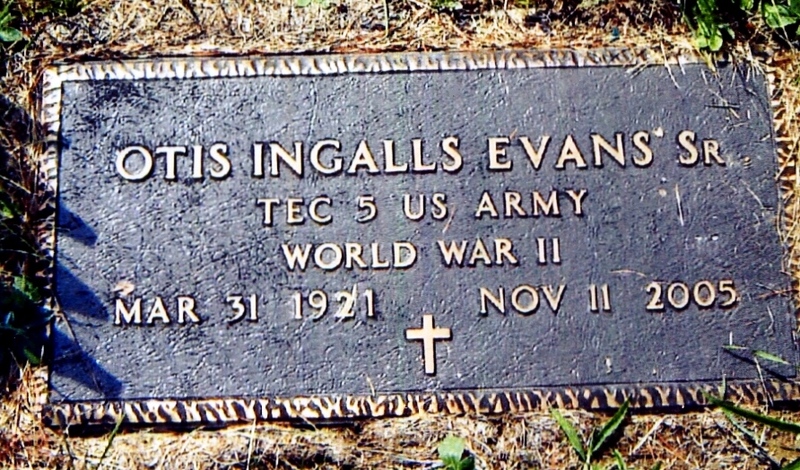 Mr. Evans is survived by his wife of 63 years, Grace (Brooks) Evans whom he married in Island Pond, VT in 1942; one son, Otis Evans Jr. and his wife Jennifer of South Carolina; one daughter, Alleen Eastwood of Biddeford; five grandchildren, Manuela Evans and Arthur Evans both of South Carolina, Kirsten Eastwood of Saco, Michille Eastwood and her husband Shayne Hirst of Kennebunkport and Amanda Eastwood of Biddeford; four great-grandchildren, Isabella Grace Hirst, Brady Hirst, Peter Evans and Hayden Evans and a daughter-in-law, Monika Evans. 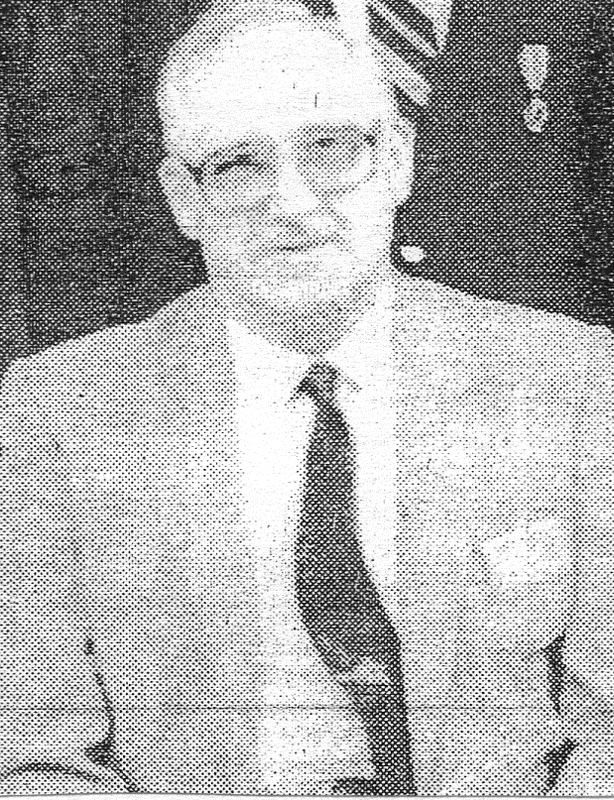 He was predeceased by one sister, Bernice Swain who was married to Rosco Swain. He was a man that really cared about people and contributed to community services for many years. Even after retiring, he couldn’t stop working; he needed to be with his many friends and express his generous love and kindness. He became a greeter at Ames Department Store which enabled him to continue to touch the lives of many with his genuine smile. Visiting hours were at the Andrews Funeral Home, 64 Andrews Road, South Woodstock, on Monday, November 14 from 6-8 p.m. Funeral services were held at the funeral home of Tuesday, November 15 at 1 p.m. with the Rev. Norman Rust officiating. Burial followed in the Lakeside Cemetery, Bryant Pond. Memorials in his memory are requested to Stephens Memorial Hospital, 181 Main Street, Norway, ME 04268 or to the Norway Rehabilitation and Living Center, 29 Marion Avenue, Norway, ME 04268.